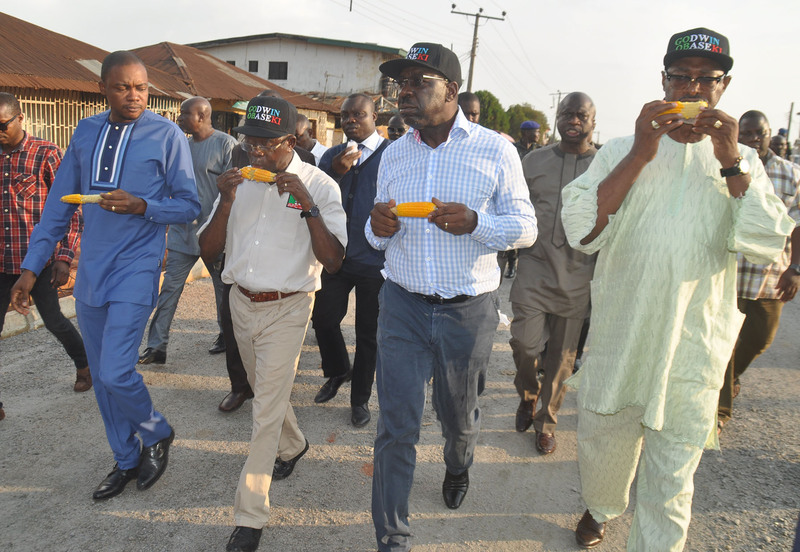 Market women on the Second East Circular area of Benin City have pledged to support the governorship standard bearer of the All Progressives Congress (APC), Mr. Godwin Obaseki for the September 10, 2016 governorship election in Edo State, saying he has their full support. 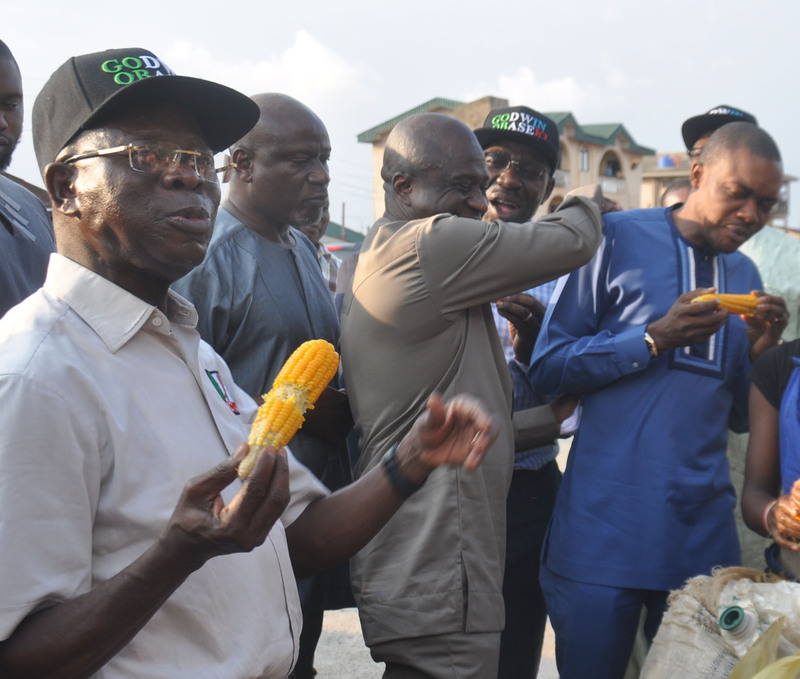 The residents who came out in large numbers in Benin City, yesterday, to receive Governor Adams Oshiomhole who was on inspection of the on-going dual-carriage Second East Circular Road, accompanied by the candidate of the party, Mr. Godwin Obaseki, and four of the aspirants in the primaries of the party: Professor Ebegue Amadasun, Hon Emmanuel Arigbe-Osula, Maj.-Gen Charles Airiavbere (rtd) and Comrade Peter Esele showered praises and prayers on Governor Oshiomhole for reconstructing their road which had been abandoned for years while they promised to reciprocate the gesture by casting their votes for Mr. Godwin Obaseki. 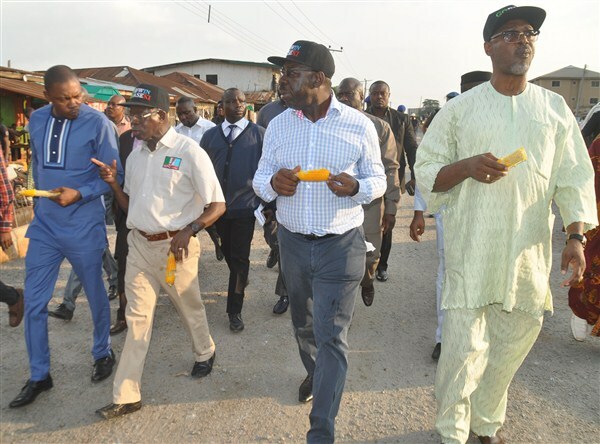 Among others who joined the Governor Oshiomhole on the inspection apart from the APC gubernatorial aspirants were the party’s Chairman, Hon Anselm Ojezua and Commissioner for Information, Prince Kassim Afegbua.